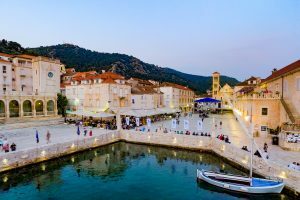 Eclectic, dynamic and one-of-a-kind, Hvar is a sprawling island where cultures and lifestyles blend only a short distance from breathtaking hills with scattered vineyards, stonewalls and sun-drenched beaches. As well as its unique, celebrity – driven charisma, the surrounding area’s natural beauty accounts as much as the city’s appeal, with countless cultural and recreational activities along 270 kilometers of coastline. The longest Croatian island is at the same time the island of diversity – the calmness of fertile field of the Stari Grad Plain, the precipitous fall of southern rocks into the foamy sea, the tameness of the eastern part of the island and forests along the northern coast will delight even the most experienced world travelers. Between the endless blue sky and the blue sea rises the green island known for its diversity of plant species among which olive, grape vine, rosemary and lavender occupy a special place, together with autochthonous Dalmatian pine forests. The play of nature is visible at every kilometer of highly indented coastline, the rocky seabed presents a heaven for explorers, and 143 speleological sites have still not discovered all the secrets kept inside the bowels of the island. The sunniest Mediterranean island has the annual average of 2,726 hours of sun and for more than 5 months a year the sea temperature is above 20°C. Only in January and February is the air temperature below 10°C. 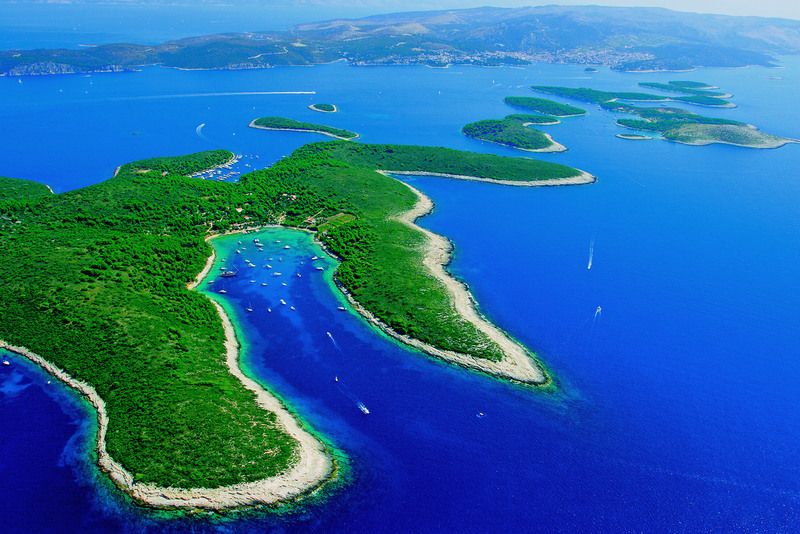 This is one of world’s most beautiful island chains made of 21 islands, islets, reefs and narrow passages situated in front of Hvar, by the name of ´Paklinski otoci´ (or Hvar’s isles as locals would refer to them) is a unique and the most recognisable natural beauty of Hvar. 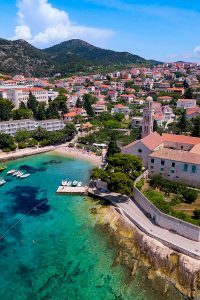 Once bare, tame isles covered in fragrant heather, with a few fields (in olden day people sowed there wheat), and a small village Volker; today represents a spacious tourist resort of Hvar – famous by far Hvar’s sunny Arcadia. Nowhere else in the Mediterranean has such a phenomenon been preserved so well with its rectangular plots measuring 1 by 5 stades (about 180 by 900 metres), bordered by drywalls end crisscrossed at regular intervals by pathways. There is also a small airfield for light aircraft where you can book a flight to get an aerial view of the plain. 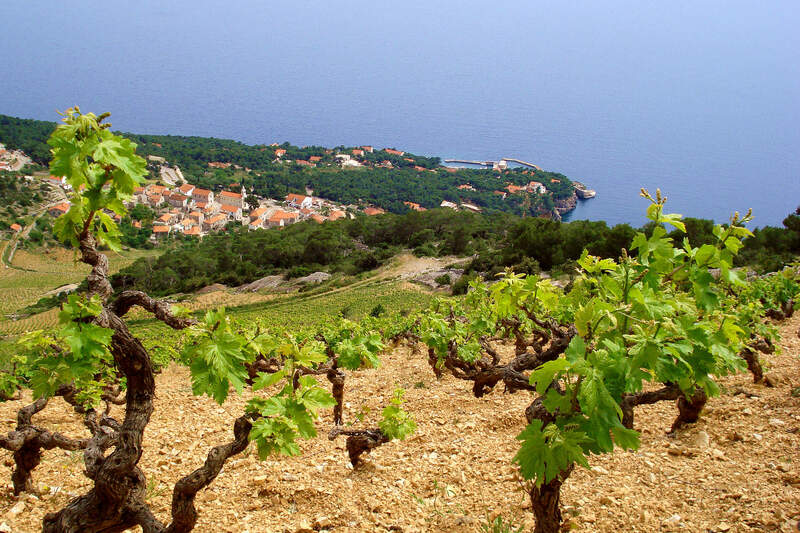 A visit to some of Hvar’s most renowned wineries will give you the opportunity to not only taste some of the best quality wine, but also enable you to grasp the differences in the aromatic smells and tastes. Some vineyards are positioned on steep hills, with grapes absorbing year round sunshine and spectacular views stretching over the horizon. Our recommended wineries: Ahearne – Vrisnik, Carić – Vrboska, Duboković – Jelsa, Huljić – Jelsa, Hvar Hills – Vrbanj, Pinjata – Vrboska, Plančić – Vrbanj, PZ Svirče – Vrbanj, Tomić – Jelsa, Vujnović – Sućuraj, Zlatan Otok – Sv. Nedjelja. 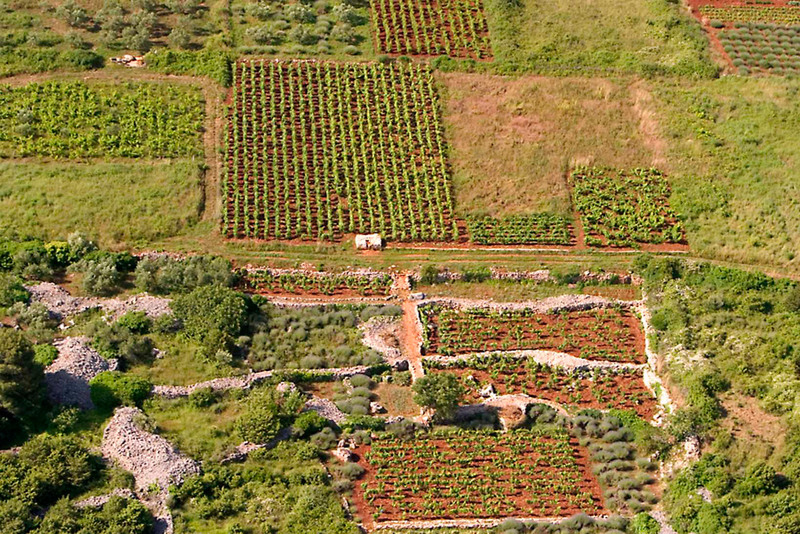 Red Rocks (Crvene Stijene), 8 km east of the town of Hvar, are unusual and picturesque play of nature. Layers of lime-stone, between which were once layers of breccia, have risen vertically in ancient geological history of Hvar. The softer breccia layers were washed out by the rain and sea, creating the vertical hollows of a reddish colour that today appears as a gigantic organ streaming from the bottom of the sea. Cave is situated above Sv. Nedjelja village. Its size is grand and it’s interior impressive. Ancient people used it as a cover, and for religious services. In 16th century a small hermits’ refuge was built there, and traces of it can be still found today. Visitors can reach the cave easily. Excavated over the first half of the 20th century, Grapčeva cave is one of the best preserved Neolithic cave dwellings around the Mediterranean. Containing dramatic stalactites and stalagmites, it looks pretty much as it would have done some 3,000 years ago when it was inhabited – the oldest human remains found here date back to 4,000BC. 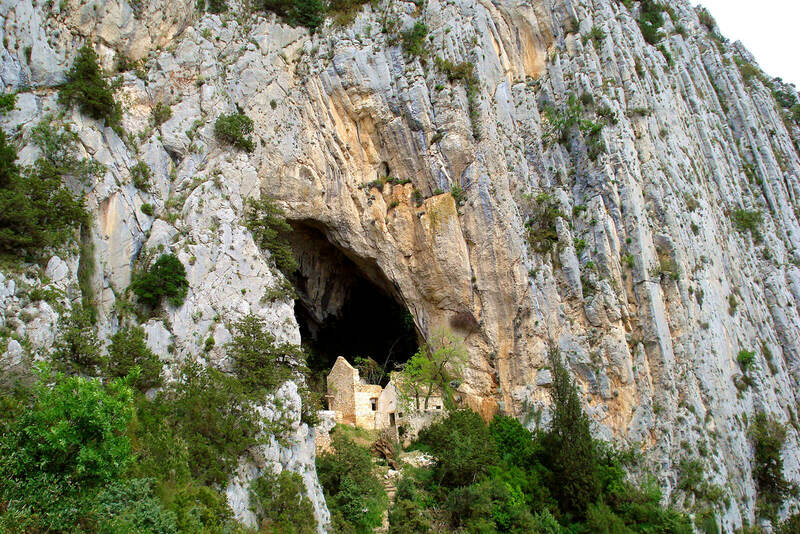 Walking distance from the deserted hamlet of Humac, the cave is only open to visitors who book a guided tour, best organised from the nearest main town of Jelsa. 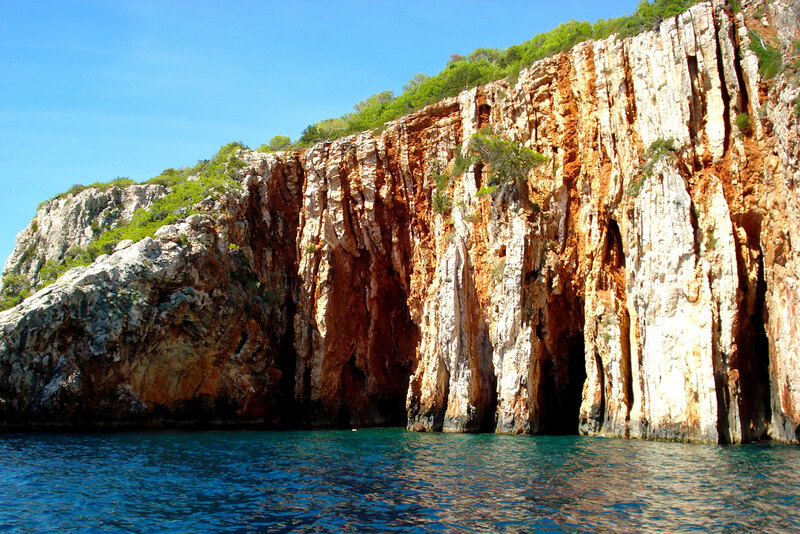 Other than Grapčeva cave, which is situated in the middle of the island, the most important archaeological site on Hvar is Marko’s cave. It is situated in the western part of Hvar island, in the area by the name of Pelegrin. The research of the area discovered traces of human presence on island of Hvar dating some 7000 years back. 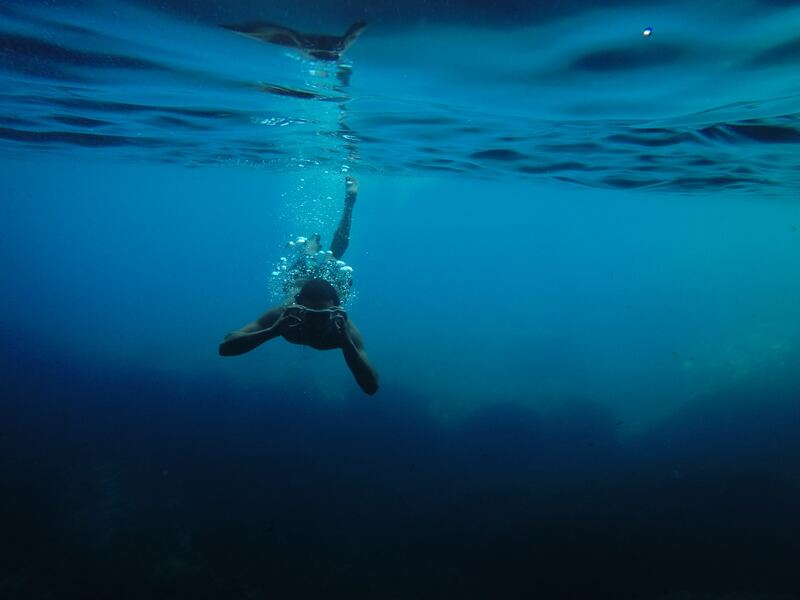 Divers describe Hvar’s submarine life as one of the prettiest in the Mediterranean. 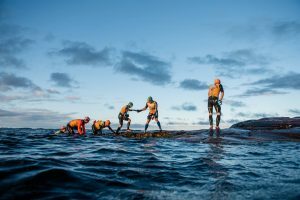 The most interesting location is the very end of the western part of the isles – Sitka do Vodnjoka, that is made up of a group of vertical rocks covered in thick layers of gorgonium, and rich in fish and shells. The most impressive among these rocks is Kampanel – a narrow rock that streams vertically as a tower from 46 m deep to some 15 m below the level of sea.